For 24 winters, the blond child had been held captive by the Indians. Now rangy, raw-boned Ben Allison set out to heat up a stone-cold trail and bring Amy Johnston home. He was armed with only an old mountain man's map, a cheap gold locket, an ornery pack mule, and his army Colt. It was an impossible mission leading straight into hostile Indian country. Ben was keenly aware that the search for Amy could very well be his own death hunt. 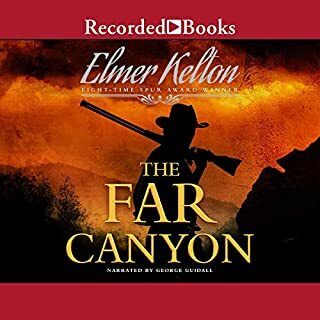 In The Far Canyon, Kelton masterfully unveils for his listener the finality of the buffalo’s demise, the beginning of a time when cattle would replace the American bison on the Southern plains and ultimately end the Plains Indian culture. 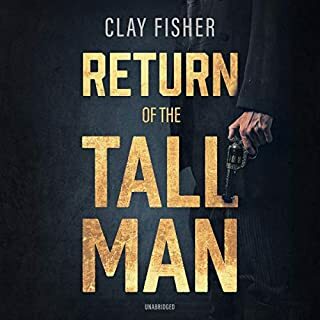 Four men - Jess Donner, a Rebel and Southern gentleman; Steve Ellsworth, a ladies' man with a foul temper; Stu Wilkens, a Yankee; and Heck Myers, a teller of tall tales - find their friendship sorely tested by a dance-hall girl and a gang of outlaws. 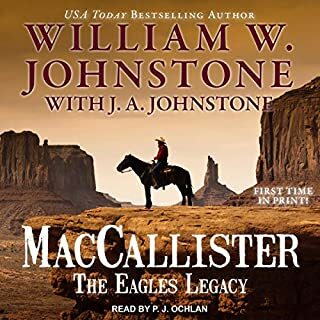 Born out of the grit, sweat, and drive of a cattle ranching empire, US Marshal Chet Byrnes is turning the savage and lawless Arizona desert into a homeland. To some, he's the hero that the West needs. To others, he's a moving target. Chet is spearheading a stage line from Gallup to the Colorado River. It'll be a boon to Navajo trading posts and lay out the territory for new settlements. Unfortunately, it's not Gerald Hall's idea of progress - killing Chet is. If anyone can smell an investment opportunity, it's railroad men and big city bankers. They're not the kind of folks that Sheriff Mackey is used to dealing with. But greed is greed, and if anyone knows how money can drive men to murder, it's the sheriff of a boomtown like Dover Station. But when Mackey is forced to gun down a pair of saloon rats, it brings a powderkeg of trouble - with a quick-burning fuse of vengeance named Alexander Duramont. This bloodthirsty psychopath wants to kill the sheriff for killing his buddies. Bullets rip the air, snapping past Clay Barlow’s head as, riding Blue, he charges a band of robbers surrounding the Austin stagecoach. Clay lets loose with a load of buckshot from his 12-gauge Roper Repeating Shotgun. With his third blast, the robbers turn tail and race off into the Texas hill country, leaving one of their own dying in the hot Texas dust. At 18, Clay has been invited to join the Texas Rangers. Now, he rides to Austin to either put on the Rangers’ badge or fight for the law in Texas courts, fulfilling his parents' wish that he become an attorney. It all started with a storm, a real gully washer, the type that comes racing across the plains with driving rain, howling winds, and hail as big as your fist. If it hadn't been for the stranger in buckskins, the Jakes family would have been in serious trouble. Little did they know, the storm was just the beginning of their struggles. They'd come to Colorado to raise a new breed of horse. Along the trail they would follow were new friends, old enemies, and the land. At times it was hard to tell which ones were the most dangerous. It would take all of their fortitude and the help of kind-hearted strangers to keep the dream alive. 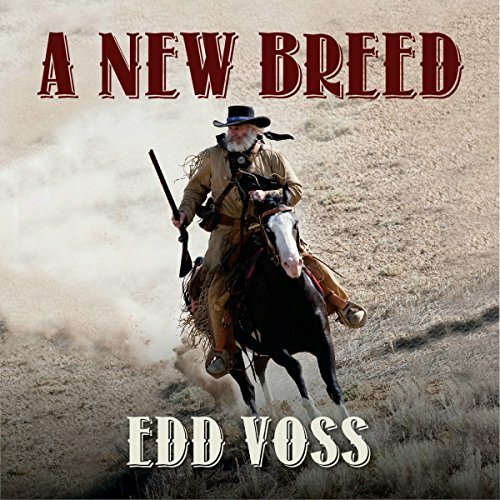 Mr. Voss has woven a story out of history and fiction that appeals to us raised on westerns and books about the old west. He puts a lot of time into his period research and it shows in his work. My only complaint is with the narration. Sound quality was excellent but I hope the narrator improves his skill before the next book. I know Edd will be writing more and I look forward to it and wish him great success. I really enjoyed this book. I enjoy Westerns, and this book had a nice mixture of perspective from both the &quot;white man&quot; and the Native American, as well as Spanish culture. I really enjoyed the characters, especially Martha, and thought that they were really well-developed. This book definitely held my attention throughout its entirety. 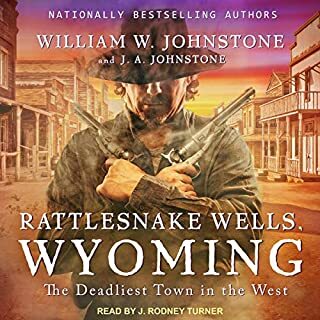 I listened to the Audible audio version of this book narrated by Michael Welte. I thought he was a great choice for the narrator because he has a very deep and gritty voice that just enhanced the book even more. Overall, a very entertaining book - I'm glad I had a chance to listen to this one. 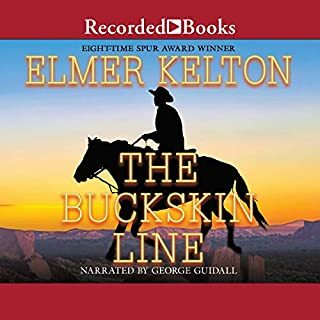 This audiobook with keep you captivated with its tales of pioneer days and of settling the West. Set just as the civil war is coming to an end, it gives a taste of both the white man’s and the Native American’s prospective. There is both a sense of loss and of hope, as one way of life comes to an end and another begins. The beauty of the environment, the difficulties of change, the need for love and the reality that there are good people and bad people within all races comes through well in this story. 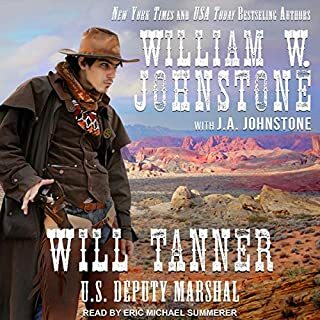 The narrators accents and deep, mellow voice fit this story perfectly; invoking the feeling of the wildness, danger and the unpredictability of life in the West. You soon become attached to the characters and want to see then succeed, while at the same time you mourn for the loss of freedom and the native’s way of life. I do hope the author produces more audiobooks with these characters, as I would love to hear more of their lives. a great story for horse lovers though the reader seems less than professional . while creative liberties are taken in historical accuracy, the story acts as a great narrative in the creation of the American Quarter Horse Breed.